I love a practical craft and this one is super cute too. 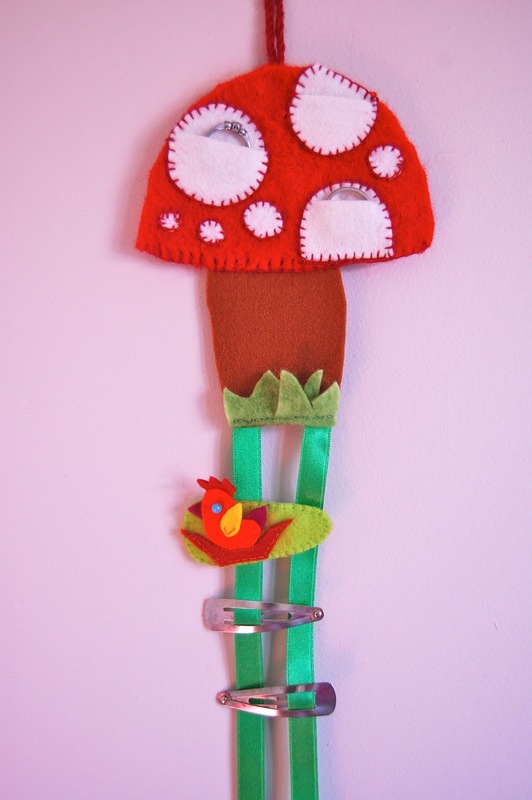 A toadstool hair clip holder to keep all those itty bitty hairclips in one spot. And it gets better than that too. The toadstool spots can hold rings or small bits of jewellery. Cute and practical. It’s a winner. 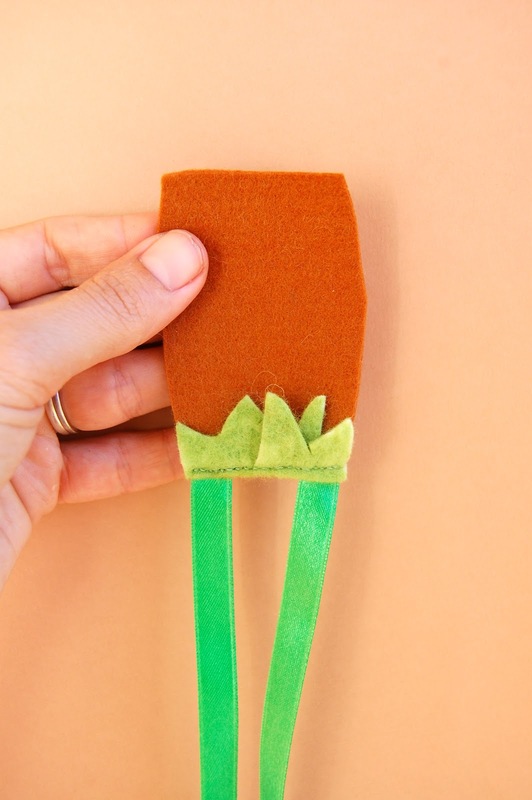 To make one, you’ll need to cut out a toadstool shape from felt. I used 3mm brown for the base and 5mm red for the top. The grass was cut from green scraps. Cut out two circles of white felt per spot. Trim the circle on top across on a horizontal line to make an entry point for the jewellery. Blanket stitch the circles onto the red felt. If you can, begin your blanket stitch from the top of the felt and try not to go right through the material. Smaller decorative spots can be glued on. Place two strands of matching ribbon along the base of the toadstool. Use straight stitch to affix the ribbon at the same time as the base of the grass. 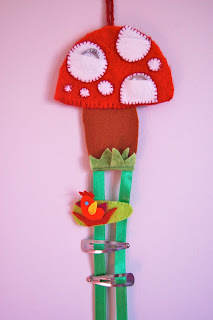 Make a slipknot loop to hang your toadstool. 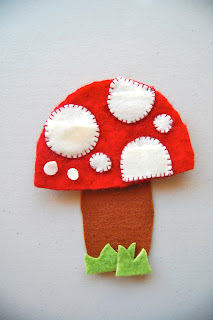 The last step is to attach the loop and also run a line of blanket stitch along the entire base of the red top, positioning the trunk in place and stitching it firmly to the toadstool cap at the same time. A perfect home for hair clips and tiny jewellery.